1.Sailboat Quilt from the Buggy Barn collection. Quilt measures about 60" x 80". The machine quilting on this one is amazing. 2. Little Boy Crib-size quilt made from the Wheels collection by Riley Blake. Measures about 50" x 60". 3. Sweet pastel quilt in fabrics from one of Moda's 3 Sisters collections. Measures about 58" x 80"
4. Beautiful trellis-inspired quilt in peach, yellow and cream. Measures about 55" x 65"
5. Bright baby quilt. Green minkie fabric on the back. Measures 42" x 42". 6. All pinks crib quilt. Pink minkie fabric in the back. Measures about 42" x 60"
7. Elegant black and white toile quilt. Measures about 50" x 60"
8. Black, red and cream quilt made from Civil War era reproduction fabrics. Measures about 50" x 60"
To bid on any of this week's quilts, please call the store at 801-802-7841. 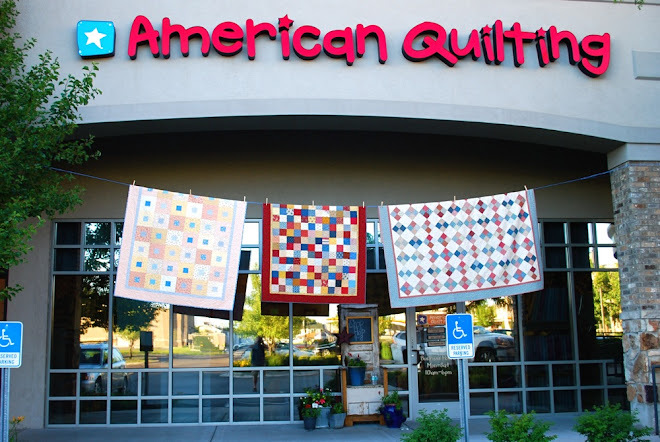 Bids on these quilts close Saturday, December 4 at 6:00 pm (MST). We will have 8 new quilts to bid on at the store Monday morning. The fundraiser will continue with 8 new quilts every week through the month of December. Thank you SO much to all those who have shown interest and support. We are most grateful!